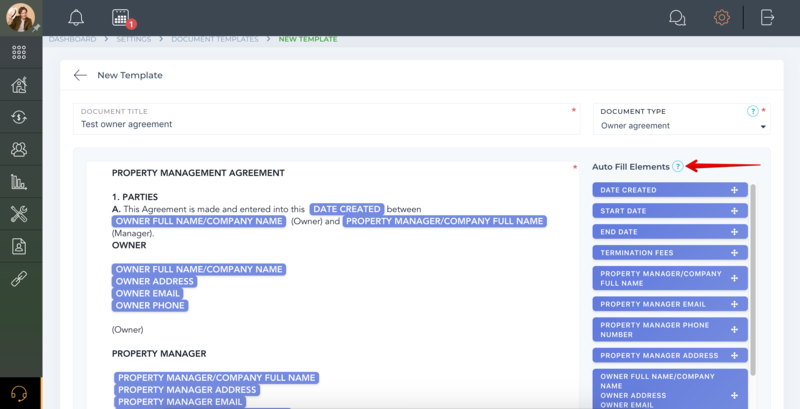 Help Center - How to add a Property Management Agreement template? How to add a Property Management Agreement template? The Property Management Agreement is a contract between the owner of a property and the company or person hired to manage the property. 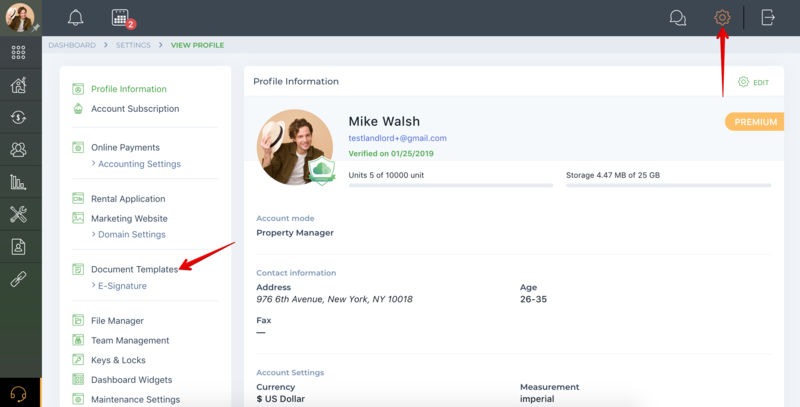 In order to add a Property Management Agreement Template, please click on the gear icon in the upper right-hand corner, which will take you to the main Settings menu. Select the Document Templates section. You can use the Basic Property Management Agreement or add a new one that meets your requirements. 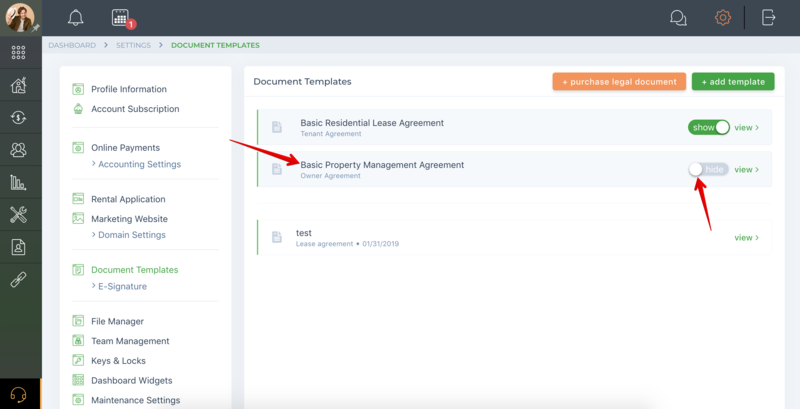 The option to add the Property Management Agreement Template is only visible in Property Management Mode. The Property Manager must be connected to the Owners and have assigned properties to them. You will see the Basic Property Management Agreement. 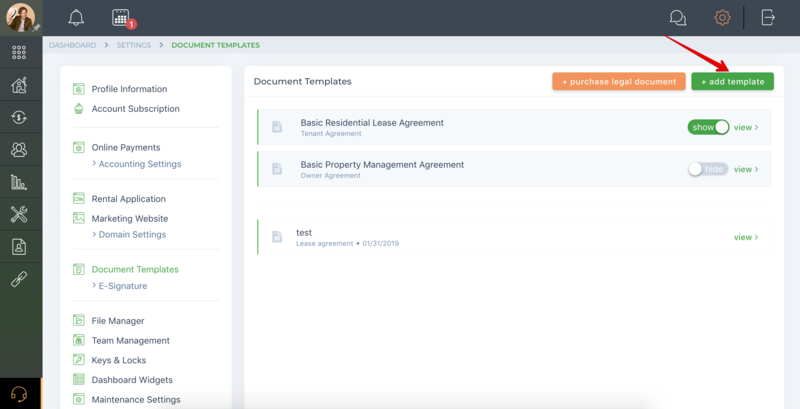 If you do not want to use this template, you can disable the toggle button and the Property Management Agreement Template will be hidden. To add your own Property Management Agreement, please click on the "+Add template" button. Then select "Owner Agreement" from the drop-down list and fill in the "Document Title" field. 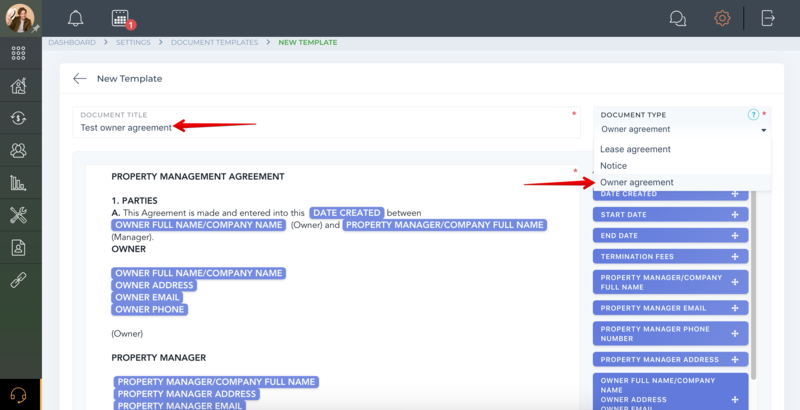 You can drag or double click fields to enter them into your template if you have content that you wish to be auto-filled during the Property Management Agreement process. In the "Default Attachment" section you can attach any related attachments that are specific to this template. 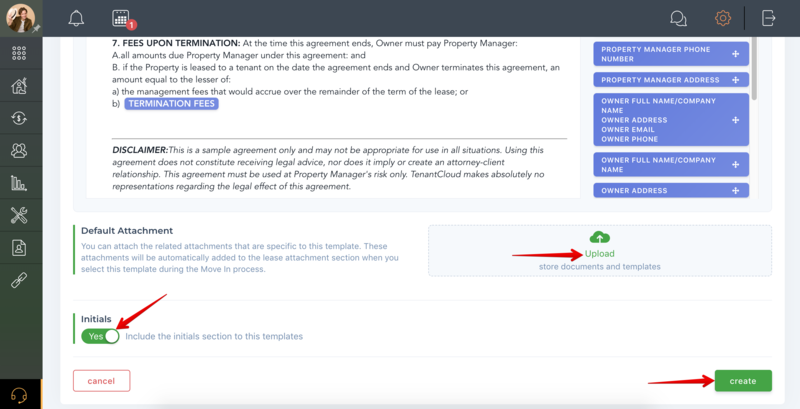 These attachments will be automatically added to the agreement attachment section when you select this template during the Property Management Agreement process. Also, you can include initials with this template by enabling the "Initials" button. Click on the "Create" button to create your Property Management Agreement Template. Once you’ve created this template, you can select it from the list while in the Property Management Agreement process.